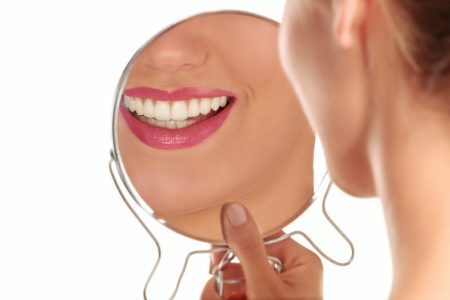 The Mouth-Body Connection: How Can Taking Care of My Mouth Affect My Overall Health? When you have healthy or unhealthy teeth, they affect more than your mouth. The condition of your teeth and gums affects your overall health, too. You can reduce your risk of serious medical issues by making your oral health a priority. The connection between oral health and general health is bacteria. While bacteria are naturally found in your mouth, poor oral habits can cause overgrowth. When bacteria are allowed to remain in your mouth and grow, they may enter your bloodstream. Then, they will circulate throughout your body, and endanger your overall health. Many medical issues can occur from poor oral health. Cardiovascular disease is one example. Bacteria can reach your arteries and block blood flow. The endocardium of your heart can also become infected. If this happens, your risk of a stroke or heart attack can increase. Poor oral health during pregnancy can increase the risk of complications. Women are more likely to experience premature birth and low-birthweight babies. Diabetics can also experience complications with poor oral health because it can be more difficult to control blood sugar. If bacteria spreads throughout your body, it can also increase your risk of respiratory infections. For example, lung infections, such as pneumonia, are more likely when you have poor oral health. One of the most important steps to good health is to avoid gum disease and tooth decay. Start out by making a healthy diet a part of your daily life. Consume plenty of calcium-rich foods and beverages to keep your teeth strong and healthy. Also, limit sweets and acidic products that can damage your teeth. Home oral care is only useful when you practice it regularly. Brush, floss, and use a fluoride mouthwash at least twice each day. It’s a great habit to brush your teeth or rinse with mouthwash after each meal. Routine dental visits will help keep your mouth and body healthy. When plaque and tartar are removed with dental instruments, there will be fewer bacteria in your mouth. Every professional cleaning will contribute to your better overall health. However, dental care is not limited to routine visits. There are reasons to contact your dentist when it is not time to schedule a semi-annual checkup. If you have a cavity or notice signs of gum disease (bleeding or receding gums), make an appointment immediately. You should also call if you experience a dental emergency, such as an injury to your mouth or a severe toothache. Prompt, effective treatment can prevent further problems. When you take proper care of your mouth, your general health will benefit. Not only can you have a full set of healthy teeth throughout your lifetime, but you will also be taking an important step to safeguard your general health. Oral care is a simple process that makes a difference. Your mouth and body do not have to be connected by bacteria. Good habits can reduce the bacteria in your mouth, and reduce the bacteria that flows through your bloodstream. Your physical health can benefit greatly, and you may never experience the complications that come with poor oral health. Contact our office today to schedule an appointment. 5 Resolutions For Better Oral Health in 2018What is the Connection Between Periodontal Disease and Heart Disease? Unhealthy teeth affects your overall teeth. To reduce the risk of serious medical issues which is caused by your unhealthy mouth it is highly advisable to consult with a dentist who properly diagnosis your oral problem and take necessary step of action to resolve the issues. One of the most important steps to good health is to avoid gum disease and tooth decay which is possible by taking good care of your mouth.